This is a sponsored post about wayfair.com coupon code is on behalf of Wayfair.com. I was provided a promotional item for this post but all the opinions expressed are 100% my own. I have always know the value of a rug in a room and how it truly sets the stage. When I bought my first home I stuck with neutral colors that really did not say much. However since moving into my current home 8 years ago I started adding more pizzaz to our wooden floors with colorful rugs. While rugs play a big part of your indoor decor, I have been looking at our deck for a few years and wondering how I can change the look without buying all new furniture. It finally hit me that a colorful outdoor rug would provide it with the pop I was looking for. As you can tell there is a lot of brown from the deck and the only sense of colors are the seat pillows and cushions. I decided to take advantage of this exclusive wayfair.com coupon code for area rugs and start looking for something for my deck. They have over 2800 outdoor rugs on their site, I am sure to find something. I was unable to get my rug in time for this post so I am sharing some of the rugs that I am considering for the change and would love your thoughts. Not sure if this outdoor rug is too white? Or do I take the more conservative look from this Dash And Albert Outdoor rug. Or do I bring more color into the space with this Momeni Baja multicolored zig zag outdoor rug? Now it is your turn to set the stage for one of your rooms with this exclusive wayfair.com coupon code. Use RUGLUV32 The promo code will be valid for 15% off all Area Rugs. Yup, ALL area rugs. But hurry up it is only valid from 7/31 to 8/4. Wow, these rugs look INCREDIBLE! I really want one now! The Dash and Albert pick is my fave. 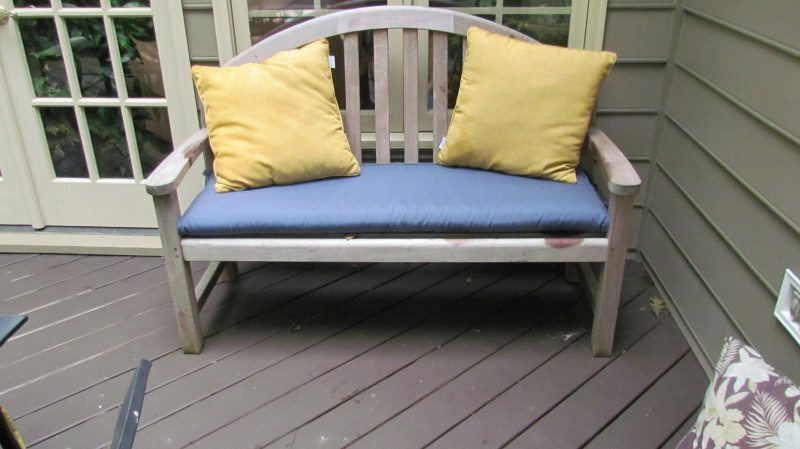 I like the blue bench and yellow pillows together. That has a cottage feel to it that’s nice. Ohh those look awesome. I’m used to seeing the standard brown outdoor carpeting. I’d certainly need a deck for that! It’s a lovely idea on paper but out here it’s so windy as to make it impossible for us to try. Even the furniture flies away in the wind! But in the off day it’s calm, this would be impressive to see. We have to refinish our deck, before I can put anything on it, haha But I love these carpets, bookmarked the site and coupon. I love rugs. I have a rug outside. It just makes the entire area really pop. First I’d have to get a place with a deck or patio. Nice looking rugs. This is a great idea. I love the first rug with the wicker furniture. It is so gorgeous. Thanks for sharing. I really love that Oriental blue and white rug! I have never used one outside but those examples look beautiful. I’m just afraid I would forget to do something with mine if it rained and would ruin it! Wow that would look really great. I love the Chevron rug, but alas it rains too much here for an outdoor rug. Awesome, the rugs are beautiful! Thanks for the code! I never thought to use outdoor rugs! Such a great idea and would look great with my new patio set! I love Wayfair! They have amazing products! I love the idea of outdoor rugs! They definitely have to something that won’t show a lot of dirt. Pretty cool huh? 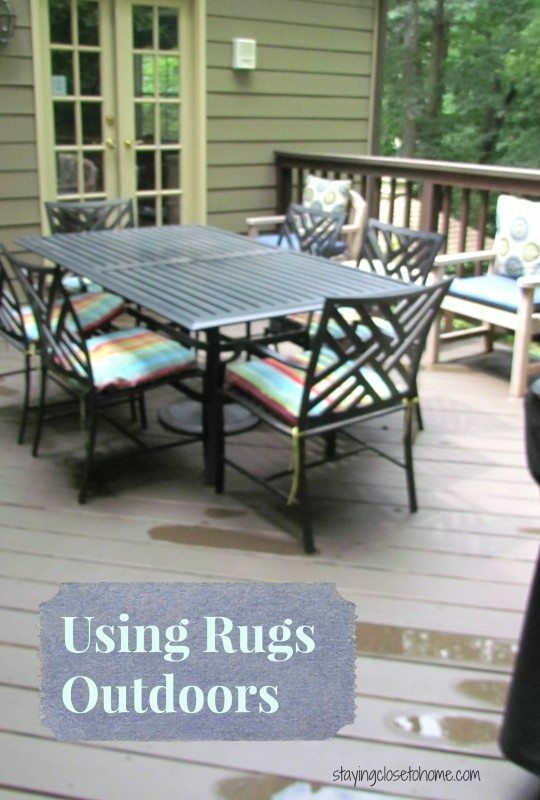 They make outdoor rugs out of materials that are resistant to mold, so it’s easy to maintain. These rugs are beautiful. I love the diamond pattern. I think it would look great on your deck. sure makes it pretty looking – and with some TLC it could work. Expect now – it’s winter. I’ve never would have thought about using a rug outside, that’s a great idea that I need to try. I love the idea of using rugs outside! I love the chevron print the most! I never thought to use a rug outdoors. Those are some amazing prints. 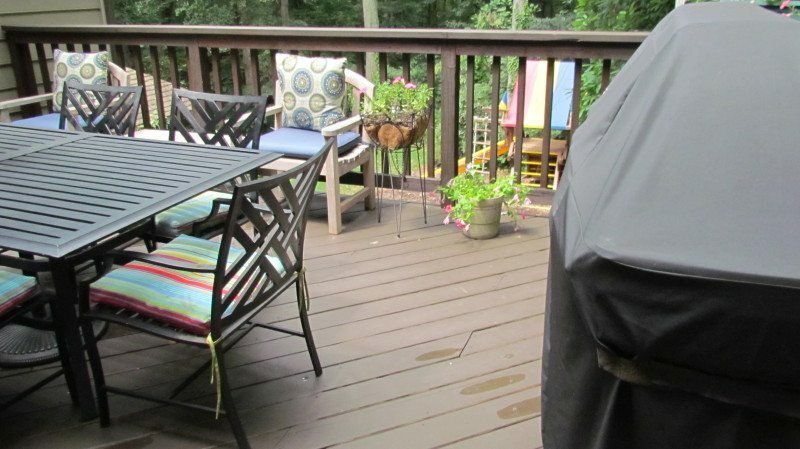 I would not use a rug for my deck because the weather here is pretty moody and it rains a lot. I think I would use one when I will have parties though. I LOVE the Momeni Baja multicolored zig zag rug! I’m a color freak though when it comes to outdoor spaces!